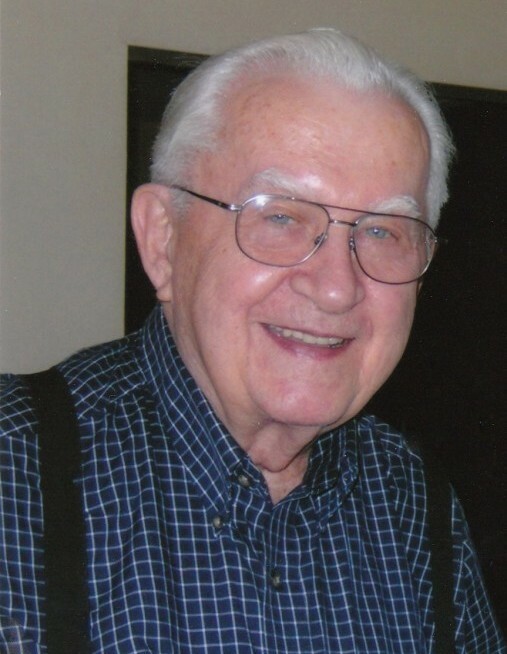 Jack L. Rindt, age 93, died at 2:18 p.m. on February 9, 2019 at his home in Brookdale Senior Living of Urbana. Funeral services will be held at 3:30 p.m. on Thursday, February 14, 2019 at Renner-Wikoff Chapel in Urbana. A visitation will be held prior to the funeral from 3:00-3:30 p.m. Private burial will be held on Friday. Jack was born in Danville, IL on Mar 6, 1925, the son of George and Mae Burgoyne Rindt. They preceded him in death. Also preceding him in death was his sister Mary Lou (Rindt) Anderson. The family moved to Urbana in 1936 where Jack graduated from Urbana High School in 1943; the boys received draft papers and diplomas on the same day. Jack was in the Army Air Corps with Basic Training at Sheppard Field, TX. He graduated from B17 airplane mechanics school in Amarillo, TX and aerial gunnery school in Kingman, AZ. Jack served as a flight engineer – top turret gunner on B17s and flew 23 bombing missions from Italy with 97th Bomb Group, 15th Air Force; later participating in Air-Sea rescue operations in India and Okinawa. He had seven battle stars, an Air Medal and Presidential Unit Citation. Upon returning home in Dec. 1945, he had completed a trip around the world. Jack joined the Illinois Central Railroad in 1950 and was appointed Trainmaster’s Clerk 2 years later. He left the railroad in 1965 and was employed by the U of I as a storekeeper until retirement in 1990. Jack was married 56 years to Minnie Williams of Texas until her death in 2007. They had no children but several pets they loved dearly. He was a golfer, bowler and tennis player, as well as a fan of all Illini teams and the Chicago Cubs. He is survived by his nieces, Cindy (Albert) Mitchell of Maroa and Debby (Randy) Cowles of Cincinnati, OH. Memorials may be made to the Champaign County Humane Society. Condolences may be offered at renner-wikoffchapel.com.